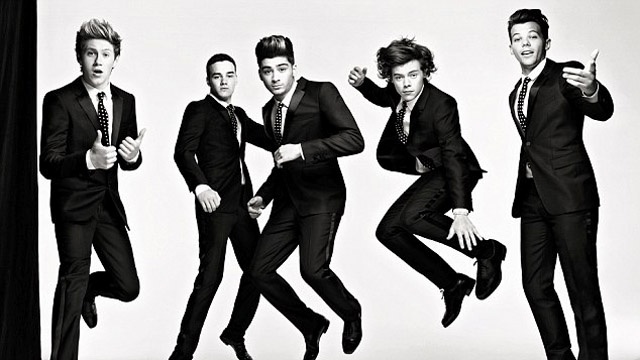 OFFICIAL VIDEO – KISS YOU !!!!!!! GUYS I’M SERIOUSLY DYING RIGHT NOW! PLEASE! THIS IS THE BEST VIDEO EVER! SO MANY FEELS RIGHT NOW heLP! One Direction were on the X Factor US yesterday night. The boys performing ‘Little Things’, their brand new single from their sophomore album Take Me Home (Coming on Monday; 4 days to go! ), on the american X Factor. I can’t get over this performance. And there’s a Ziall moment..! We should’nt forget Niall was performing in front of Demi.. 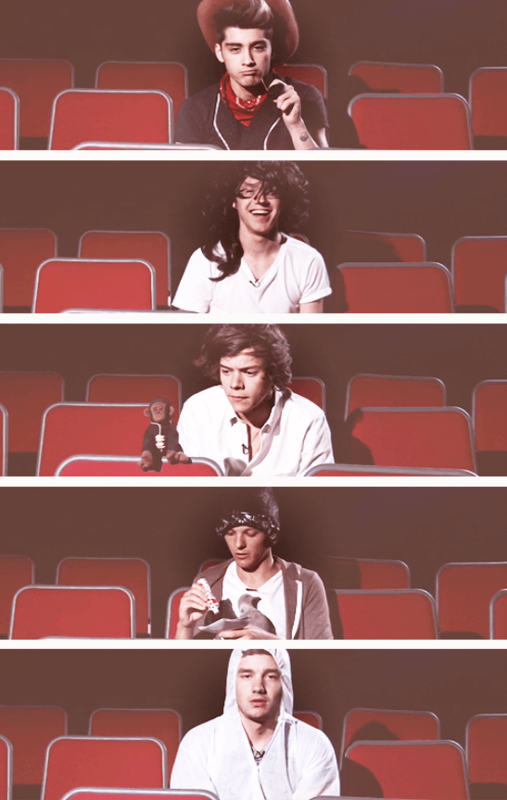 I don’t know yet if it’s cute or awkward..
Here’s their performance of ‘Live While We’re Young’. 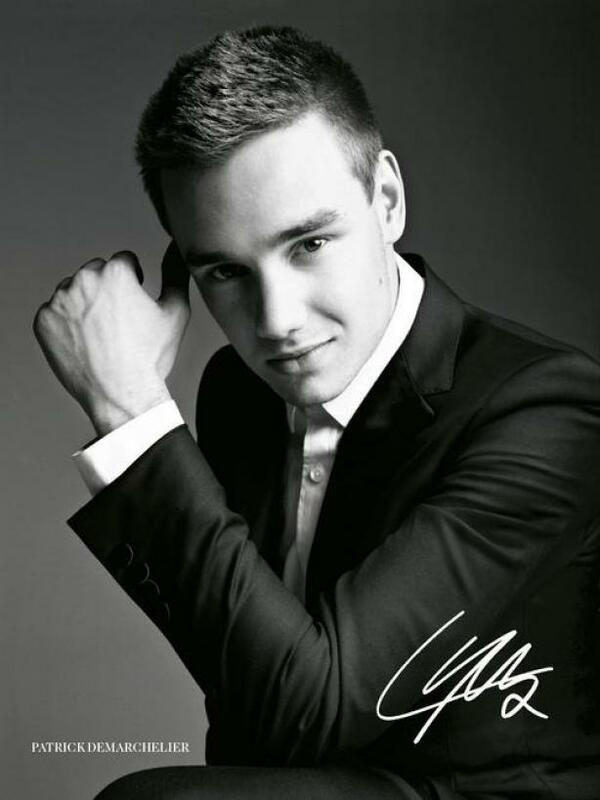 If it’s really a tattoo Liam has on his right arm.. Can someone tell me the meaning? The boys are on X Factor US tonight! They will be recording the Ellen Show tomorrow. Harry’s got nearly 30 tattoos now, well I think he exactly got 30; bye to the ‘He got twenty-seven tattoos’ lyrics sung by Louis. 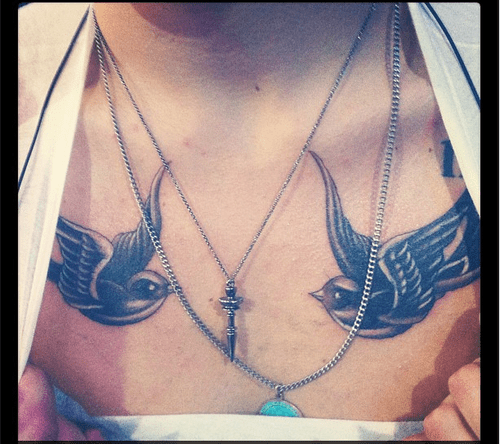 His last ones are sparrows on his chest and a filled black heart, the same as Zayn, Lou and Tom. How cute? 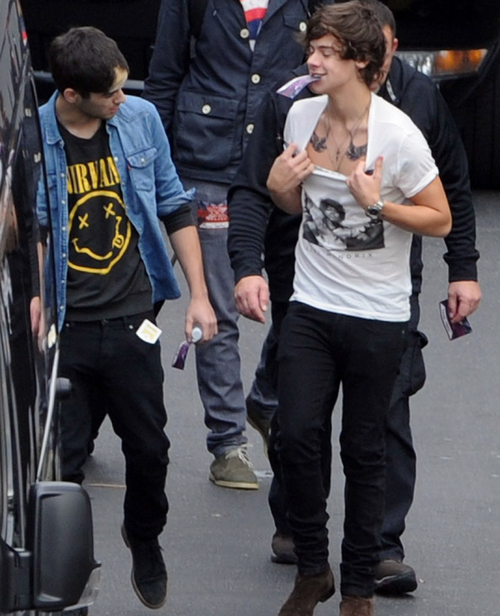 There’s Zarry talking about, maybe, their next tattoos..
Liam got tattooed again too apparentely as he had been seen leaving the tattoo parlour his arm wrapped with something. They’re all handsome.. 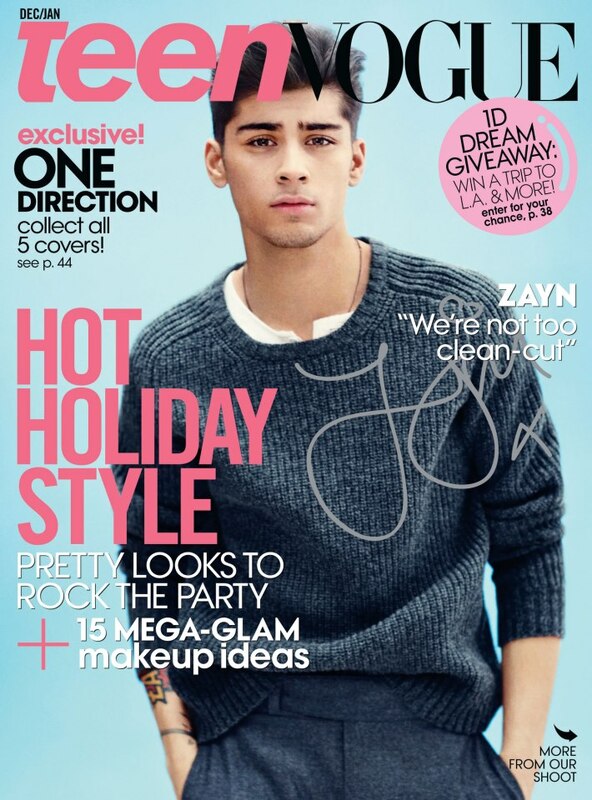 But look at Zayn, it’s like he was made for this cover. 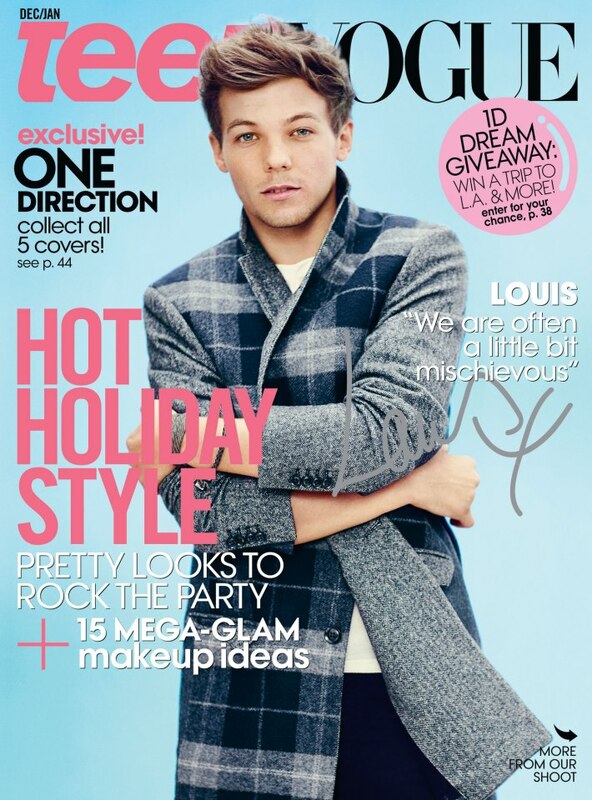 And maybe this too, from the Cosmopolitan photoshoot, if I’m not wrong.. Heaven on black and white glossy magazine paper. 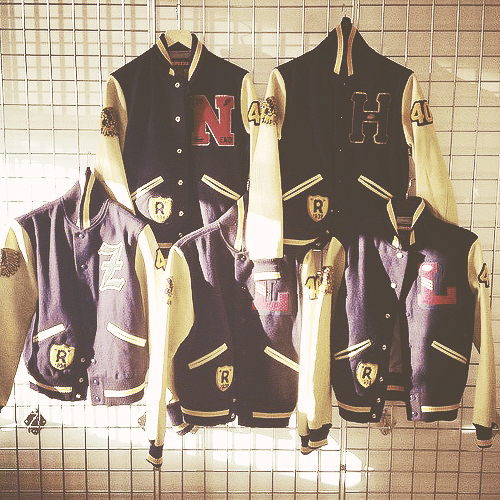 The boys personalized Ralph Lauren Varsity jackets. They’re awesome! 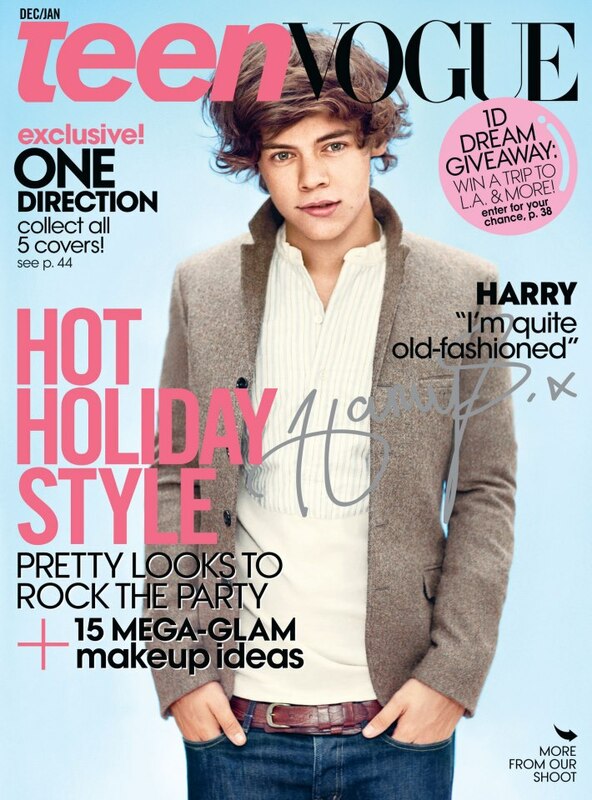 Why does Harry have the entire page? Should’ve been the cute lil irish cream! Ahah. Here’s a colorized version of the boys in teddy jackets. 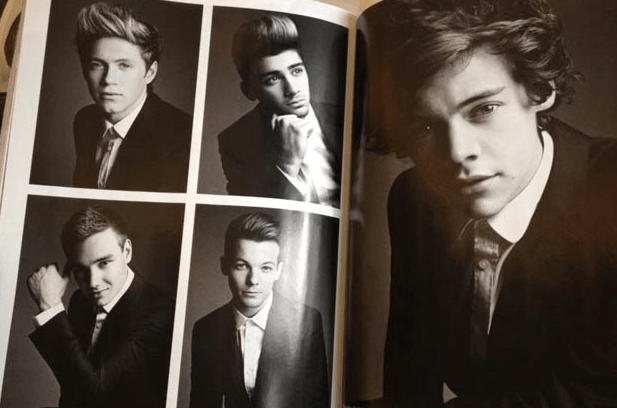 AND THERE ARE THEIR PORTRAITS: HOLD ON! 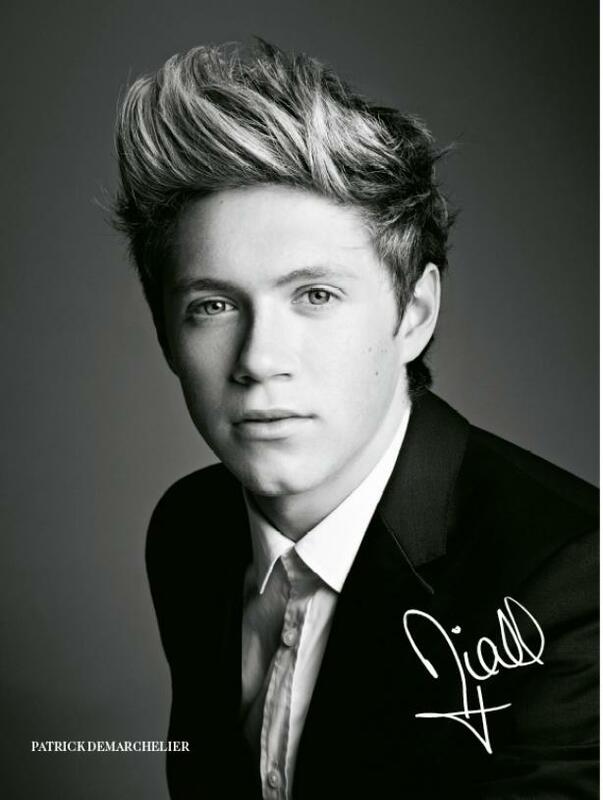 Niall is so dam gorgeous! 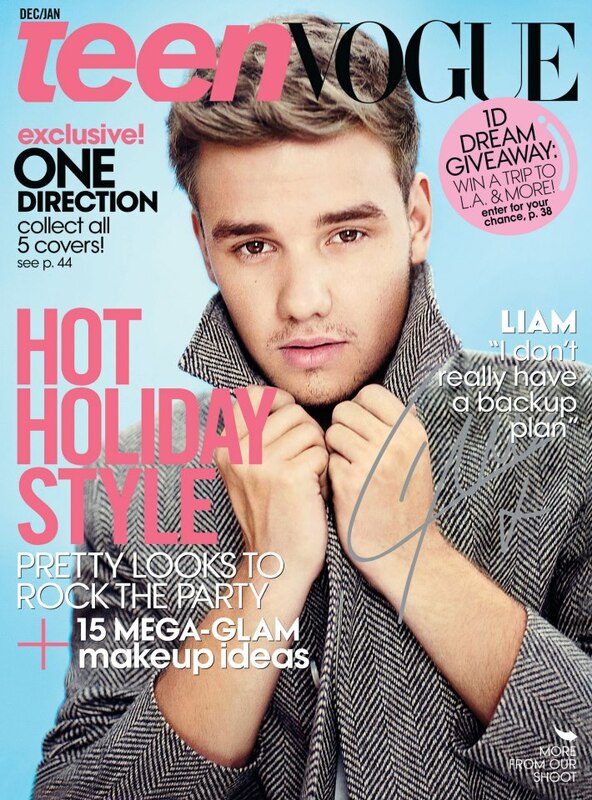 Liam looks awesome. 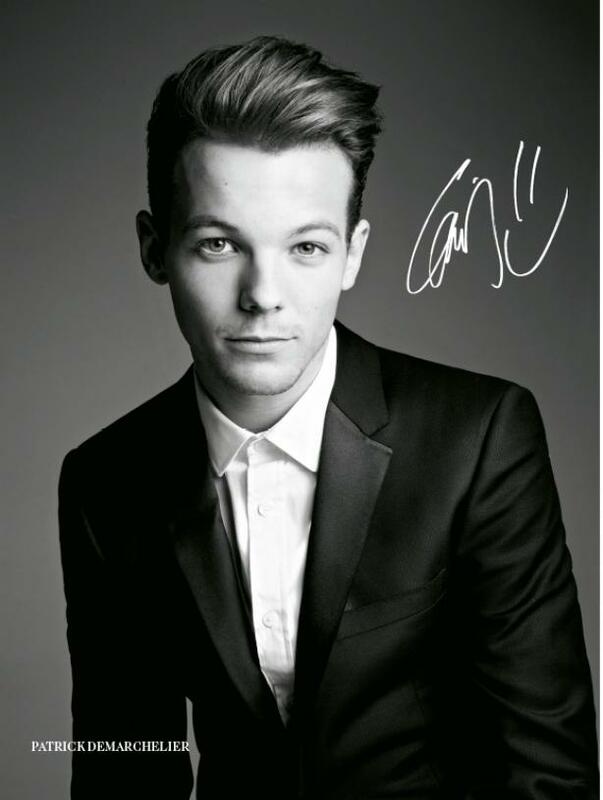 I personally love think his haircut suits him well. 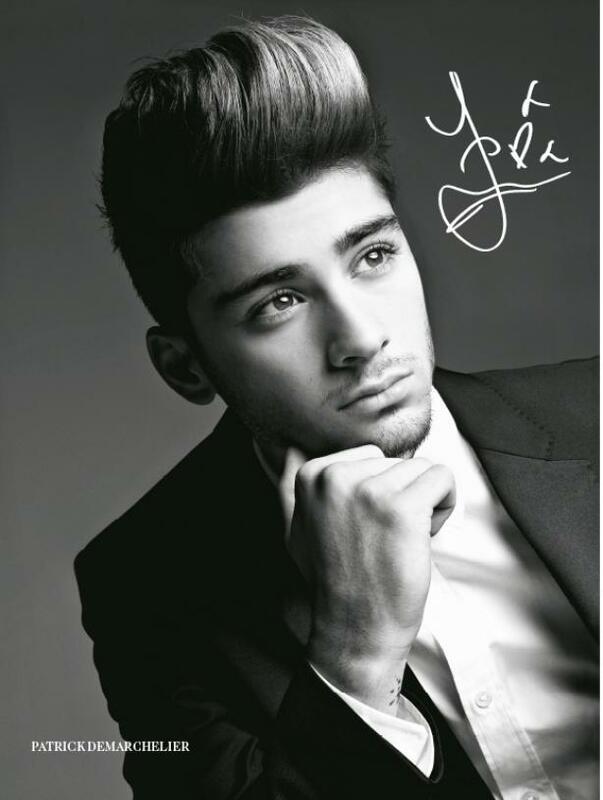 I’m dying over this one of Zayn! 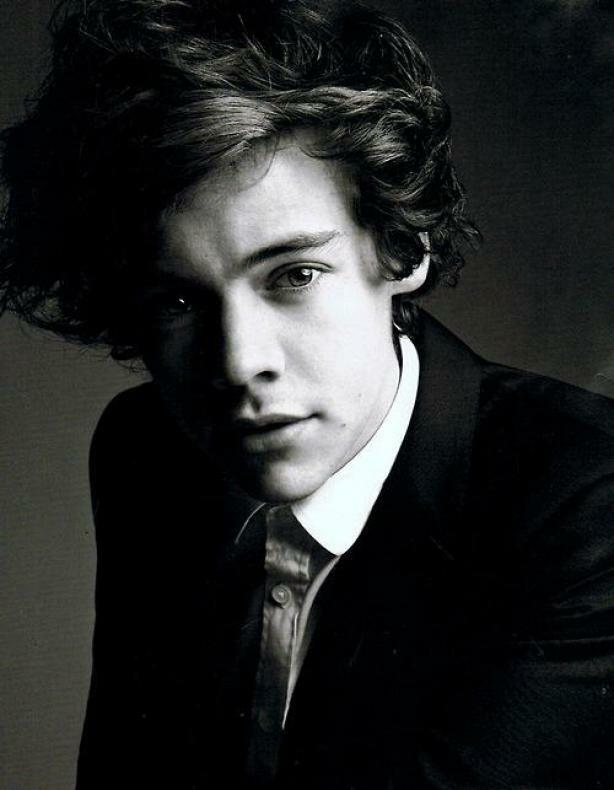 And finally, Harry, the curly one looking fabulous! 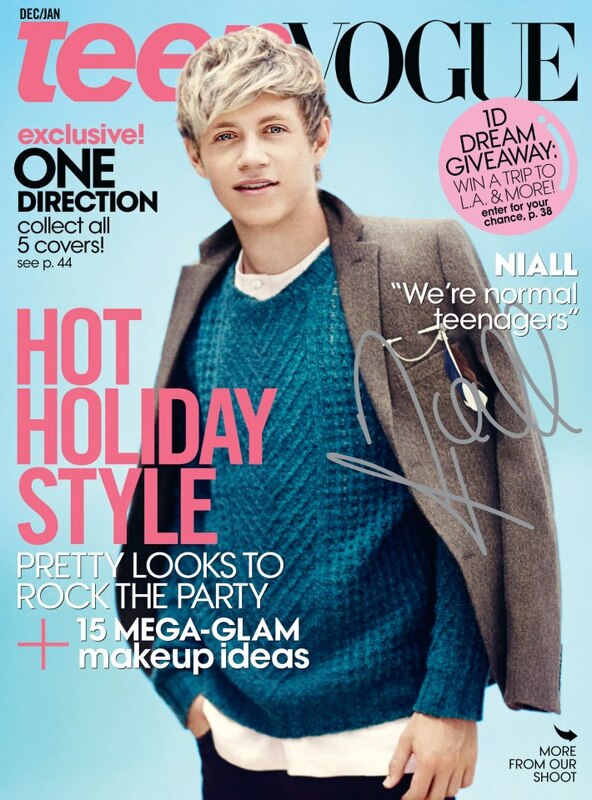 This edition of the Vogue UK will be available in December. Are we, directioners, going to break the Vevo record of Justin Bieber and his Beauty And A Beat? 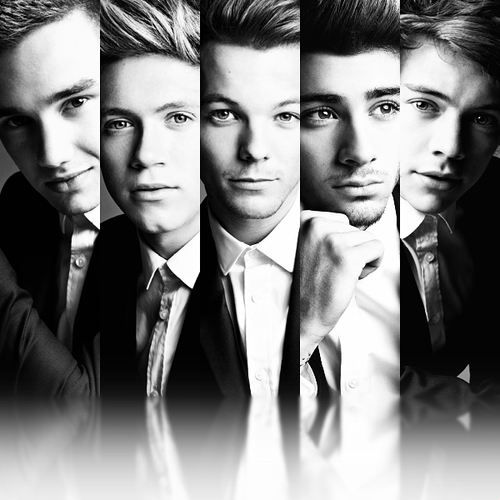 I don’t know, but we can all say that Little Things, the boys’ second single of their sophomore album: Take Me Home, is more meaningful than the « I wanna see ya bady rack ». I’m not judging, no.. It has been a really long week for the boys. Each day a different country. They went to Spain in Madrid, press conference and El Hormiguero; Italy in Milan, press conference and X Factor; Sweden, press conference and X Factor too and they landed yesterday in France, for a showcase with NRJ and Dancing With The Stars tonight. Also, yesterday was a great day for the One Direction Family. Indeed, Take Me Home songs had been leaked, well snippets of 25 seconds revealing the awesomess of the album which will be released in 9 days! This morning we were able to listen to some full songs: Rock Me, They Don’t Know Us.. They’re pure heaven, I seriously can’t wait! Wbu? Also, Liam made an epic twitter fail by tweeting « kenza zouiten » and then, seeing what he’s done, confirmed he expected to look for it on Google. Someone explains me how could you mix up twitter with google? I mean, wuuut. But I can tell you that this Kenza really looks like Leona Lewis.. If you know what I mean. Ahah Liam is going quite wild at the moment. Ahah, no but he’s like in club every night. He said himself he was at the Arc at the Champs Elysees yesterday. He and Andy Samuels, is best friend, had a twitcam session this morning. at 5am.. Well, you have to see by yourself but it was really funny (check on youtube ;)). And I think that’s all. I’m gonna go back to cry, because I won’t ever see the boys on stage, on the corner.